BGGTS has state-of-the-art technology, advanced engineering, repair and refurbishment facilities. BGGTS has access to State-of-the-Art GT Technology and worldwide engineering support and facilities. Expertise in GT Services, world-class Repair and Refurbishment facilities, a vastly experienced team, well connected OEM supply network, digital initiatives coupled with State-of-the-Art Technology and engineering support from promoters are vital elements that permit us to offer cutting edge service to our customers. This strength of total solutions for parts planning, field services support, technical consultancy, GT uprates and improvements has benefited many of our customers in improving their plant performance and efficiencies. 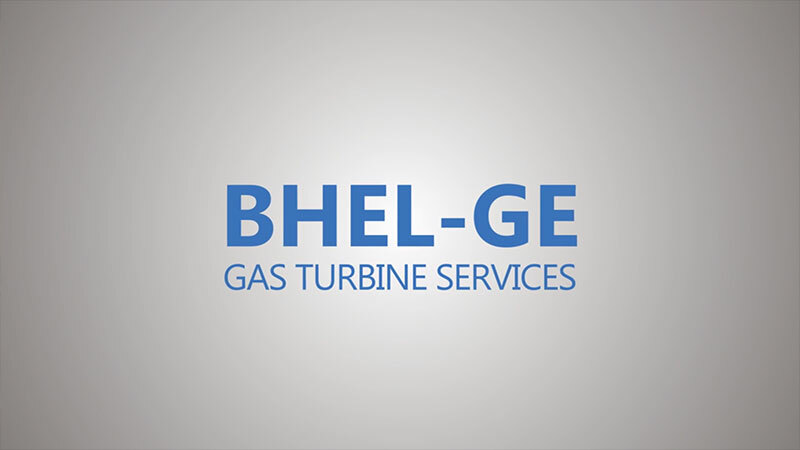 BHEL -GE Gas Turbine Services Pvt Ltd (BGGTS) was founded in 1997 as a Joint Venture of BHEL, India and General Electric, U.S. BGGTS has been founded with a customer-centric vision of providing quality after-market services for Gas Turbines to GE and BHEL Customers. This combined with the heritage of gas turbine engineering and manufacturing that spans more than half a century, and a dedicated team of technicians who knows their GT’s in and out, BGGTS is poised to ensure that your GT’s are benefitted with the best technical advice, services and spares. BGGTS offers a reliable, time-saving and cost-efficient GT Services alternative to power sector customers in the India region to avail of GT Repair and Services in a well-equipped and advanced Gas Turbine Repair and Refurbishments facility located in Hyderabad, India, and thereby eliminating the need to have to send their machines for repair to Singapore or US. BGGTS presence in the region ensures that customers could focus on enhancing their productivity, minimize the down-times required for repair and services operation. BGGTS could offer all after-market services for gas turbines under a single roof, apart from being the preferred source for all GT OEM parts. Customers in India region (Bangladesh, SriLanka, Mauritius and India) does benefit enormously with the establishment of this facility in Hyderabad, India. BGGTS (BHEL-GE Gas Turbine Services Pvt Ltd) is promoted by the giants in Gas Turbine Technology General Electric, US and Bharat Heavy Electricals Limited. GE helped pioneer the modern, industrial gas turbine, and established an efficient and reliable architecture that would become the basis for today’s global power generation industry while BHEL, a Maharatna PSU is the largest Gas Turbine manufacturer in India. Shri Amitabh Mathur (DIN: 07275427), aged 57 years, has been inducted as Director (Industrial Systems & Products) on the Board of Bharat Heavy Electricals Limited (BHEL) w.e.f 1st September, 2015. Shri Amitabh Mathur, is a Mechanical Engineer from Delhi College of Engineering. 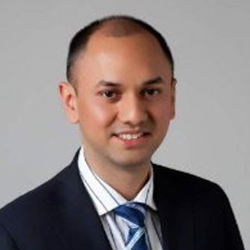 He also holds a Masters in Business Administration from Faculty of Management Studies, Delhi University. Mr. Amitabh Mathur has more than 35 years of rich, diversified and versatile professional experience through working in major segments of BHEL and has handled a variety of responsibilities in strategic as well as operational areas in various capacities and functions. He started his career in BHEL as an Engineer Trainee in January 1981. From January, 1982 to April, 2006 as part of Power Sector Marketing, he had an impressive track record of business development of large sized Coal, Hydel & Gas Power Plants on Turnkey/EPC basis. Also, during this period Mr. Mathur was given a special responsibility to pursue all gas based power projects from Independent Power Producers (IPPs) within the country apart from the regular orders from NTPC. As such, the entire business for Gas based Power Projects (Utilities) from IPPs was centralized with him. His hands-on experience in market intelligence, identifying business opportunities, development of strategies and relationship building helped in securing substantial orders from a broad base of customers comprising IPPs and central/state utilities in a highly competitive environment. Subsequently, as General Manager (Power Projects) in the apex office, he was responsible for developing, implementing and monitoring strategies pertaining to Power Sector in BHEL. He laid special emphasis on project execution of over 200 sets and close interaction with various policy making agencies viz. Ministry of Power, Central Electricity Authority, Planning Commission, Ministry of Environment, Cabinet Secretariat, Department of Heavy Industries, Ministry of Finance etc. to protect and enhance company’s interests. He also steered the revamping of BHEL’s “Works Policy” to align it to the requirements of quick implementation of Projects and was also actively involved in strategic planning towards investment on special tools and plants for expansion of BHEL’s overall manufacturing capacity upto 20,000 MW. The impact of his initiatives was reflected in the excellent growth of various key performance parameters during the year 2008-09. This period also saw significant growth in turnover & profits and an all-time high order book for the company. While overall in-charge of Power Sector Eastern Region (PSER), the largest power sector region of BHEL, Mr. Mathur created new benchmarks in project execution of over 40 project sites across the country and abroad both in power as well as industrial segments. He has been a pioneer in introducing change management for increasing the effectiveness of site operations ultimately leading to customer satisfaction and employee engagement. He led various initiatives for speedier execution of projects, improving efficiency of operations and thereby profitability. Steps were also initiated towards enhancing employee morale & productivity by way of improving their living conditions at sites, addressing personnel issues, etc. During his tenure at PSER, a “Technology centre” was created comprising experts from various areas of boiler, turbine, civil, electrical, C&I, etc. to deliberate and document various execution issues and their solutions thus ensuring knowledge sharing and minimising cost of rework. He also got developed various IT based systems for progress reporting, material handling, project management, sub contracting, customer billing, desktop video conferencing (VC), “Talk to ED” VC system for employees, knowledge management portal to reduce the bottlenecks in site execution activities and thereby achieving improved efficiency in various processes involved. Under his able leadership, PSER achieved synchronization and commissioning of over 4500 MW of power projects. As Director (IS&P) apart from being one of the Board of Directors, he is the business sector head looking after various industry specific businesses like captive power plants, industrial products, transmission business, renewable energy, water, transportation and defence. He is responsible for the diversification and growth specific activities being carried out by BHEL especially in the area of solar energy, municipal water business, electric mobility,high speed trains, strategic equipments, HVDC and smart grids. He has been a pioneer in introducing change management for increasing the effectiveness of BHEL Industry Sector’s value chain involving various activities like marketing, engineering, system integration, manufacturing, site services etc. ultimately leading to customer satisfaction and employee engagement. Shri Mathur is also the Part-time Director and Chairman on the Board of BHEL-GE Gas Turbine Services Pvt. Limited, Part-time Director on the Board of Dada Dhuniwale Khandwa Power Limited and a Co-opted Member (Non-executive Director) on the Executive Council of Indian Electrical & Electronics Manufacturer's Association. He is the Chairman of the Audit Committee of Dada Dhuniwale Khandwa Power Limited and also Vice President of “CIGRE-India”.